Plan Life Care is always working hard to achieve the highest levels of care. It is so satisfying to see that hard work achieving results. We will never be complacent, never rest in our quest for quality. Quality is a journey, not a destination. However it is good to celebrate our achievements to date. 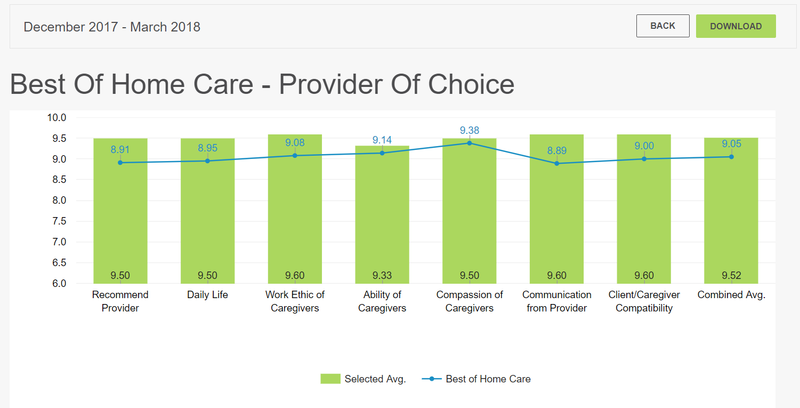 No other in Home care agency, in my area, publishes their unfiltered feedback, from Clients and Caregivers. Plan Life Care does. The blue lines represents the finest In home cares agencies from all the USA, and their feedback. You can see Plan Life Care exceeds the best of the best in almost every category.